That's right, eat me and gain 3lbs! Water weight is something everyone has to deal with. Basically what happens is that the more sodium we eat, the more it triggers our thirst. When we are thirsty, we drink water (or other beverages), and our body holds onto that liquid for hours or even days until the sodium evens out. 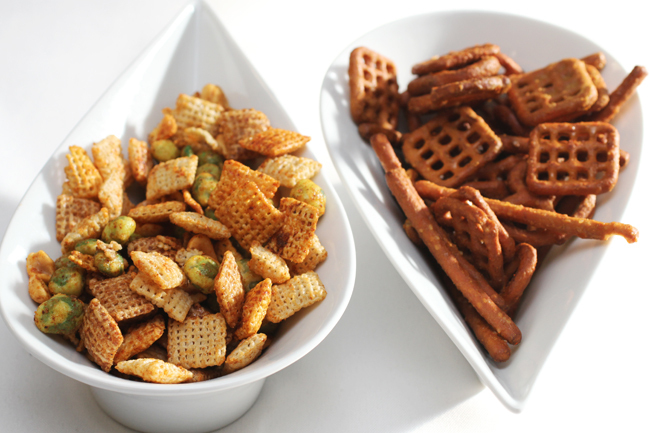 Have you ever noticed that bars always have salty snacks to munch on, like pretzels, peanuts, or chips? Yup, it’s because the salt will make us want to buy more drinks! I make the next martini irresistible! The issue with water weight is that it fluctuates so easily! Part of changing my lifestyle has been to try and manage some of the things I know I should be eating less of: Salt, sugar, sweeteners, etc. I’m not actively avoiding these things completely, but if there are options that don’t have these in it, or at least not a lot of it, I may choose that. 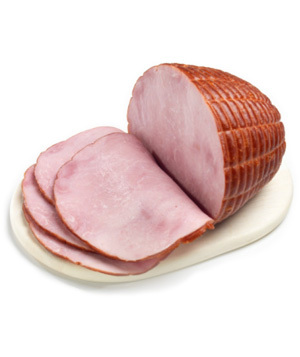 Well yesterday I had to make a ham…a 10lb ham his mother gave us when she thought their freezer was dying. It had been thawing for a few days in the fridge, so I needed to make it. We had friends over, so I thought “hey, some people over, lots of ham, why not share and have everyone for dinner?” So I set the oven to 325 degrees, scored the fat on top of the ham, added some pineapple slices and set the timer for 3 hours. In the meantime, I sliced up about 8 potatoes into wedges, coated them lightly in canola oil and sprinkled kosher salt, pepper, granulated garlic and onion powder over them, and baked them along with the ham towards the end (and then jacked the heat to 450 for about 25 minutes after I took the ham out because the potatoes were mushy and had zero color). After everything was ready, I weighed the ham I was going to eat, and then weighed the potatoes, and made up my plate. I thought about adding a green veggie of some sort, but all I have are cucumbers, and my friends really don’t care for those, so I left them off and just had ham and potatoes. After eating, I logged onto the myfitnesspal website to add my food (I find it easier to use the database online for unknown foods), and was shocked at the amount of sodium! Over 2200mg! That’s over the daily limit! So knowing this, I did the only thing I knew that will help minimize the amount of water I retain…I drank lots of water! So in order to retain less water, I need to drink more water?! 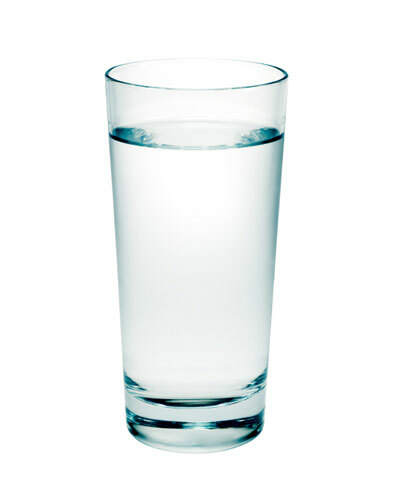 Technically speaking, there are other methods to help with water retention, including eating food that has diuretic effects (leafy greens like lettuce and cabbage, as well as carrots, spinach, and many others), taking vitamins (Vitamin B5, B6, B1 and D have been known to help with water retention), avoid dehydrating drinks (like alcohol, coffee and tea), using herbal remedies, and exercise. But for me, since I know that the water retention I will get is because of the higher sodium, drinking water is fine. I hope it doesn’t ruin my weigh-in for Monday! Good news is I will be working out today and still drinking lots of water, so fingers crossed! I weighed myself today and was at 209.4, so I've got a bit of work ahead of me. I did not exercise so there are no exercise calories to subtract. Another day of eating less calories than I should. I think yesterday I was so disgusted by the amount of salt, and then filled up by the 84oz of water I drank (over a 10 hour period) that I fooled myself into thinking I wasn’t hungry. I did have the pork later in the evening as I started to feel some tummy rumblings, but I don’t think I could have eaten another bite of anything else. Today’s Music Addition is Rumour Has It by Adele! She has such a unique voice, and most of her music is enjoyable for many types of exercise!